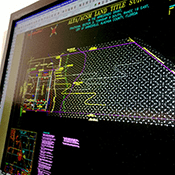 ﻿ Brinkman Surveying & Mapping, Inc.
Brinkman Surveying was established in 1997 by James Brinkman. We survey with quality that's second to none, covering areas in Gainesville and Alachua County as well as Putnam, Bradford, Clay, Levy and Gilchrist Counties. A Boundary Survey is a procedure by which Brinkman Surveying will establish corners and boundaries of a piece of land before someone purchases it. It's useful not only for development, but in situations in which the owner builds a shed or a fence, landscaping, remodeling/rennovating or replacing damaged markers. 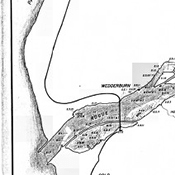 This type of survey provides data about elevated points on a piece of land. Basically, how far something reaches above or below ground level. Trees, hills, fences and buildings are all included. The data can be used for digging drainage ditches, planning development or figuring out how the land itself has shaped over time. 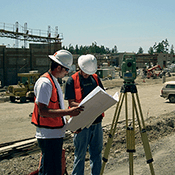 Construction Layouts (aka stake-out or setting-out) consist of surveying conditions of future worksites. Buildings, underground infrastructure (sewers, manholes, etc) and topography are all measured and marked to guide construction. Upon completion of the project, another survey follows to make sure everything went smoothly. 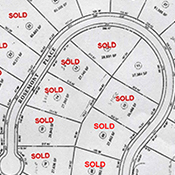 This type of survey, as the name suggests, divides a piece of land into sub-parcels, which are then sold individually. 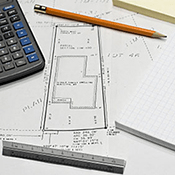 They may also include data for effective utility layouts, street layouts and drainage. This type of survey typically follows Boundary and Topographic surveys. Brinkman Surveying will draw a map to reference boundaries of plots/parcels of land that may surround a wetland. They can be helpful in managing resources, assessing environmental impact, determining natural resource inventory and detecting trends in the wetland itself. ©2018 Brinkman Surveying and Mapping, Inc.